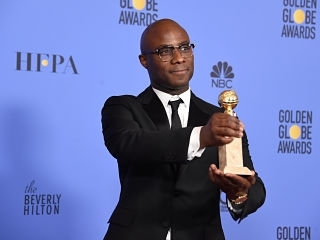 Together with the upcoming show ‘The Underground Railroad’, Barry Jenkins has been given the green light for other series. Indeed, the director has obtained a first-look partnership with Amazon Studios. With a partnership which debuted with ‘The Underground Railroad’, Amazon Studios has extended its collaboration with Barry Jenkins. The director has signed a deal through his company, Pastel. He has just completed his work on ‘If Beale Street Could Talk’, a movie which premiered at the Toronto International Film Festival in September. Inspired by a novel penned by Colson Whitehead, ‘The Underground Railroad’ is an alternate history TV series currently in the works. Consisting of eleven episodes so far, it will be helmed by Barry Jenkins. Its plot will centre on Cora, a slave on a Georgian plantation, who tries to run away through a network of tracks and tunnels. She is accompanied by Caesar who comes from Virginia. The director Barry Jenkins made his feature film debut in 2008 with ‘Medicine for Melancholy’ which was met with mostly positive reviews. After eight years, he released another movie called ‘Moonlight’. The latter went on to win several accolades including an Oscar for Best Picture at the 89th Academy Awards. No official release date nor details about the casting have been made public for ‘The Underground Railroad’ yet. Pastel is expected to produce alongside Brad Pitt’s Plan B.